Green Laker: Monona In California? 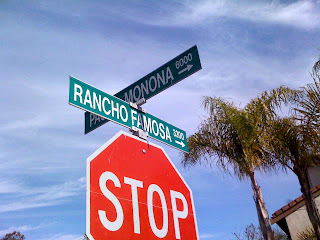 Check out the top street sign - yeah, it was hard to get the entire street name - Carlsbad's Paseo Monona - from my vantage point. Thanks for the tip, Graham!